A graduate of the University of Wisconsin and the Medical College of Wisconsin, Dr. Casey Batten completed his postgraduate training as a chief resident at the University of Tennessee and a clinical fellow in sports medicine at the University of California. 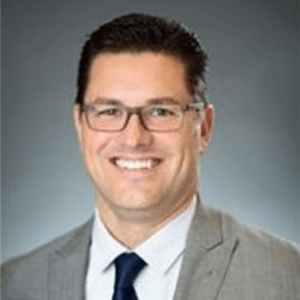 Dr. Casey Batten began his career as a sports physician as an associate team physician at the University of California, Berkeley. After two years he was named the head team physician, a position he held for more than six years. Since 2016, Dr. Casey Batten has served as the lead medical team physician for the Los Angeles Rams of the National Football League. He complements this position with his work as a primary care sports medicine physician at the Kerlan Jobe Orthopaedic Institute, where he also guides the fellowship program. Additionally, Dr. Batten frequently shares his expertise as a physician educator and course developer for universities and conference symposia. During his career, Dr. Batten has also lent his sports medicine experience to numerous international and national athletic events and competitions. Most recently, he served as a member of the medical staff for the 2017 World Baseball Classic and the 2017 Genesis Open of the PGA Tour. He previously led the medical staff for events such as the Nike Women’s Marathon in San Francisco.